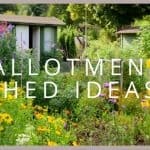 Need some allotment ideas? 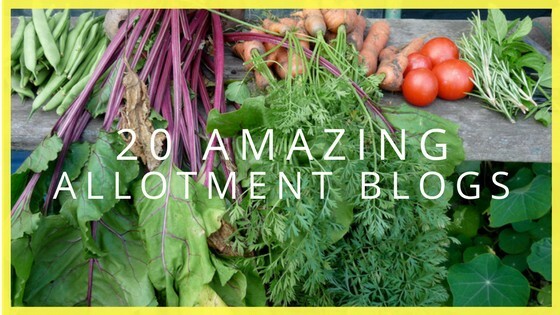 These 20 amazing allotment bloggers have loads of useful advice on how to grow your own food and live a more sustainable life. If you’ve ever dreamed of getting away from the hustle and bustle of a city to live a sustainable life in the countryside, Tanya did just that seven years ago when she to moved from London to the beautiful Isle of Man. 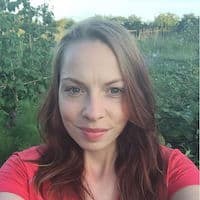 We asked Tanya what made her start an allotment blog and why gardening has become such a passion of hers. Tanya grows her own food, looks after bees and makes and sells her own homemade beauty products! She’s definitely living the dream life! We highly recommend you check out Lovely Greens as its full of great tips you can apply to your own allotment and garden as well as recipes and DIY garden ideas. Becky uses her blog to talk about the challenges she faces growing her own food and also includes great recipes for her home-grown produce. Becky’s blog is one of the funniest I came across, she injects humour into her honest posts and even her daughter was named after a potato. It’s a fun blog which is definitely worth a read and a laugh. Life at No.27 is a light-hearted blog, full of useful gardening tips! Annabelle has a laid-back and friendly approach to her writing. 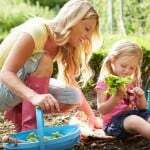 As a gardener in her 20’s, it’s great to see a younger person so interested in growing her own veggies. 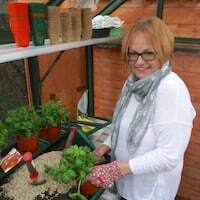 She also shares what she’s growing in her allotment on Drystone Radio, based in Skipton, Yorkshire.The blog also has a monthly to-do list which lets you know what Annabelle is up to in the allotment. After turning a patch of garden into an allotment with his mum, Jan, Jono got the bug for growing and hasn’t looked back since. 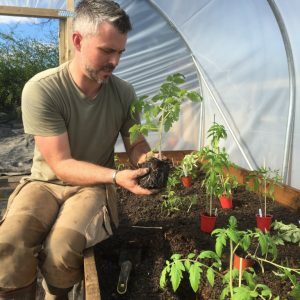 From giant leeks to perpetual spinach, this blog has tonnes of posts about the fantastic produce Jono grows in his greenhouse. He blogs about overcoming Sluggaggedon, if you are unfamiliar with this term, it refers to the invasion of slugs in his garden. Real Men Sow uses personal experience to let us know how to keep them at bay! Jono also saves nearly £500 a year by growing his family’s fruit and veg! Veg Plotting is an inspiring blog, full of valuable knowledge from Michelle who writes about her allotment. She’s been growing her own food since her husband sadly took ill in 2003. She’s since become a real horticulturist who is passionate about growing her own produce! Veg Plotting offers some great advice for novice allotment gardeners and includes free resources and tutorials, as well as an allotment plan which is great if you don’t know how to start! 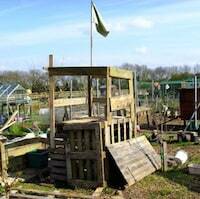 This blog is run by a group of gardeners who share a love for allotments. Fennel and Fern describe itself as “a big happy team of organic gardeners who love the soil under our fingernails and munching on our home-grown veg”. 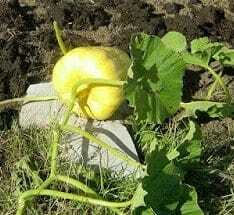 You can check out each one of the blogger’s allotments t0 see what they’re growing. The blog is full of great suggestions for produce you can grow at home and then turn into exciting dishes. 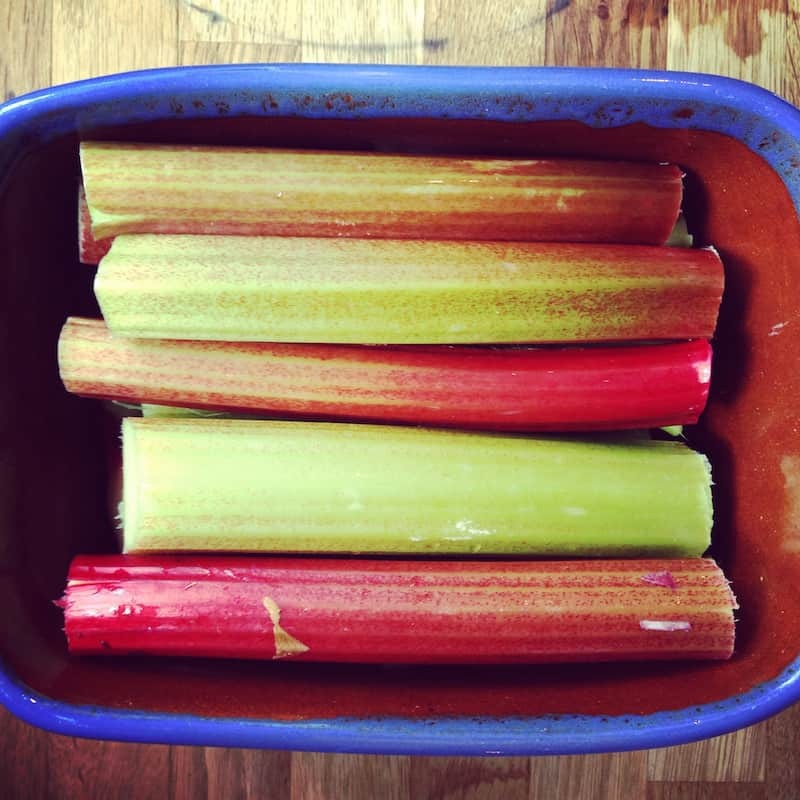 Get inspired with ideas such as the healthy rhubarb pudding, beetroot chocolate brownies and apple and pickle jelly. They all sound amazing! Nick and Rich are two thirsty gardeners who love three things, gardening, food and beer! Two Thirsty Gardeners stands out from the crowd in the allotment blogging world, so had to be included on our top 20. 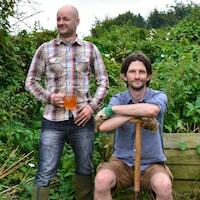 As well as growing their own produce, Nick and Rick actually turn it into interesting and unusual alcoholic beverages! Fancy a glass of lavender gin or maybe some elderflower champagne? Take a look to find out! Southbourne Gardens is a gardeners dream. 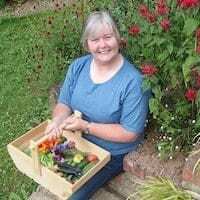 Victoria, who runs the blog knows better than anyone how challenging an allotment can be and this is why she wrote a whole bunch of guides which cover all the aspects of an allotment. From planting, growing, maintaining and sowing. If you’ve just started an allotment or are interested in one, Victoria offers some great advice to get you started! The how-to guides are fantastic and there’s also a cook section which is great for ideas on what to make with the lovely home-grown produce you’ve cultivated. Southbourne Gardens is definitely worth checking out. 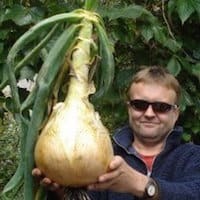 Dan’s blog has a whole section dedicated to World and UK Giant vegetable records and they’re definitely worth a look!The Allotment-Diary is blog space for Dan to show off his own giant vegetables.This year he’ll be growing giant onions, carrots and marrows to enter into the Giant Exhibition Show. Dan managed to grow a 9lb 12oz prize onion, but this year he’s determined to reach “the magical 10lbs”. To make sure that happens, he has sowed the seed cultivated by ex-World’s Biggest Onion record holder, Peter Glazebrooks. It’s serious business. 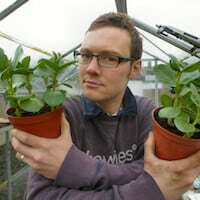 The BBC’s Allotment Challenge winner, Rob, has had an obsession with growing things since he was a small boy.Ever since his Grandfather would give him a sweet for every Cabbage White butterfly he caught with an old fishing net, he’s not looked back since. As Rob works for an airline and gets to jet off all over the globe, we are sure this must come in handy for picking up useful allotment tips. 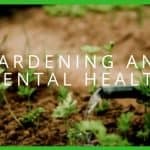 He shares lots of gardening knowledge on his blog and great ideas that will help you with what you’re growing. If you need some inspiration for something new to grow, simply check out Rob’s Allotment! Superhero fans, Sophie and Ade, have been working on their allotment for quite a while now. 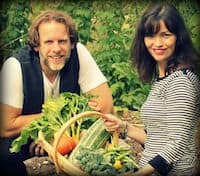 With twenty years of experience in film and TV production, these two have put their skills to good use by presenting a blog which looks great.They photograph, write and blog about growing and cooking food on their veggie allotment. What Ade grows, Sophie cooks. It’s a match made in heaven. The delicious roasted root soups in their recipe section are bound to make your mouth water! Allotment Haven was created by John who got hold of his first plot ten years ago. Here he kept chickens, had a greenhouse, sheds, ponds and a polytunnel! When he moved allotments in 2014, he had to start all over again! John is a gardener with bags of allotment experience and uses his blog to share advice to other allotmenteers. One of the most interesting sections of the blog is the bit about allotment security. This is not actually something that too many people cover and John has some very smart ideas for how you can make yours and your neighbours’ allotments more safe and secure. Jo Jo from Fusion Living made it to the final of The Big Allotment Challenge on BBC2.The blog posts are a combination of stories from the kitchen and garden with a taste for the exotic. Jo Jo used shop-bought fresh lemongrass stalks which she got to root by leaving the bases of the stems soaking in a glass of water in the kitchen. After two weeks, the roots had developed enough for her to plant them in pots! 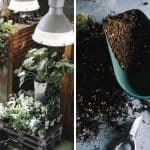 This husband and wife have been growing their own food since the 1980’s. So, it’s reasonable to say they have bags of experience when it comes to gardening! By 2005, they had acquired five allotments which they still use today. 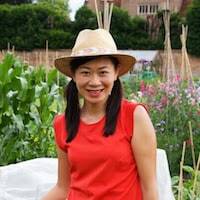 Sue shares her experience on growing a biodiverse garden, as well as recipes for home-grown produce and all kinds of fun blog posts about more unusual food like quince and strange-looking medlars that she claims are supposed to be eaten rotten – maybe one for the more adventurous of gardeners! 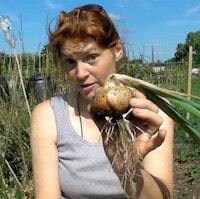 Claire regularly updates her blog with videos with advice on growing your own food! There’s over 300, in fact! 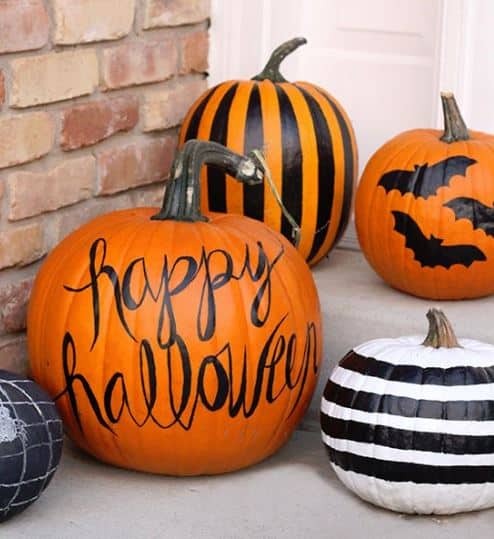 You’ll find all sorts of tips here and the videos make the blog more personal and easy to understand. Also, if you have kids who love to help our in your own allotment, you should check out Claire’s series of children’s books. These are about kids who love to work in the garden. Ideal if you want your children to have green fingers! Allotment owner, Mike, runs a popular blog Flighty’s Plot. It’s so popular in fact that it has actually been nominated for an award. 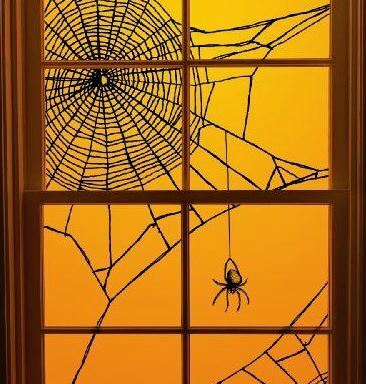 This was one of the more addictive blogs that we have come across. This blog is the chronicle of Mike’s near decade-long journey to take a wet, muddy and less than attractive plot and turn it into something awesome. 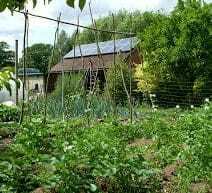 While the blog offers great advice on allotments, Mike also posts about some other interesting things like what books he’s reading and life in general which makes the whole blog a much more fun experience. 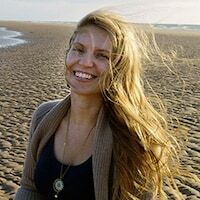 Caro started the blog as part of a group of people who were funded to grow food in the overgrown gardens of their homes in an estate in North London. The Urban Veg Patch has evolved into a gardening journey which includes photographs and thoughts, reviews and ways to cook home-grown produce. One of the most interesting parts of the blog is the Veg Patch History which tells us how the people who lived in the York Rise flats began allotment gardening in the 1930s. It covers through the sixties and seventies, right up to present day. 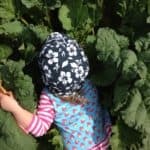 This allotment blog is an interesting read. The ‘Compost Woman’ is an environmental educator who lives with her husband, daughter, hens, cats and guinea pigs, on a four-acre plot in Herefordshire. Living a self-sufficient and organic life in the woodland, the compost woman, as she refers to herself as, offers so much useful knowledge for budding allotmenteers. Living a self-sufficient and organic life in the woodland, the compost woman, as she refers to herself as, offers so much useful knowledge for budding allotmenteers. Take a look at the ‘how-to’ guides for posts on how to make compost, advice on keeping chickens, making cider and growing veg in a polytunnel! It’s a varied and interesting blog which is up there as one of the best in the allotment blogging category. 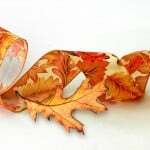 Escape to the country with Jessica and her rusty duck blog. A derelict cottage and overgrown garden are featured with updates of the plans and progress, documented by beautiful photography.Jessica explains there are 84 steps to climb up to the garage, the post, the grocery delivery and any other contact with the outside world. For today’s generation, the fact there’s no signal might be enough to put them off this way of living. However, it’s a beautiful location which has plenty of wildlife around it. Follow the struggles of keeping the neighbourhood rabbits from demolishing the crops and take a look at how this plot of land has been transformed. 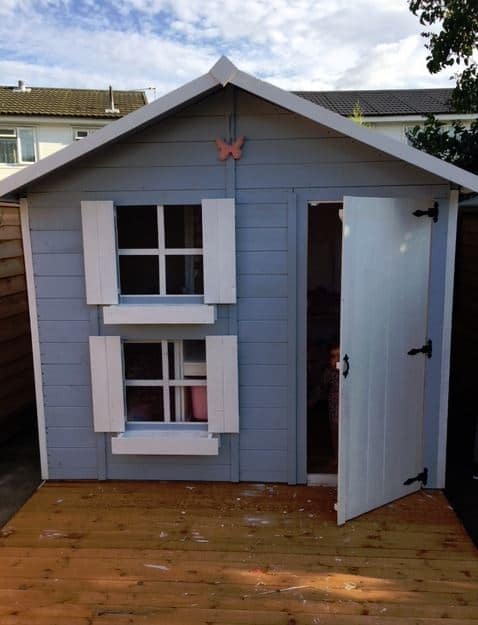 Based in St Ives, Cornwall, the Allotment with a Sea View is full of useful information about managing your allotment. There’s also allotment calendar which is great for helping you to organise what jobs need doing in the allotment each month!